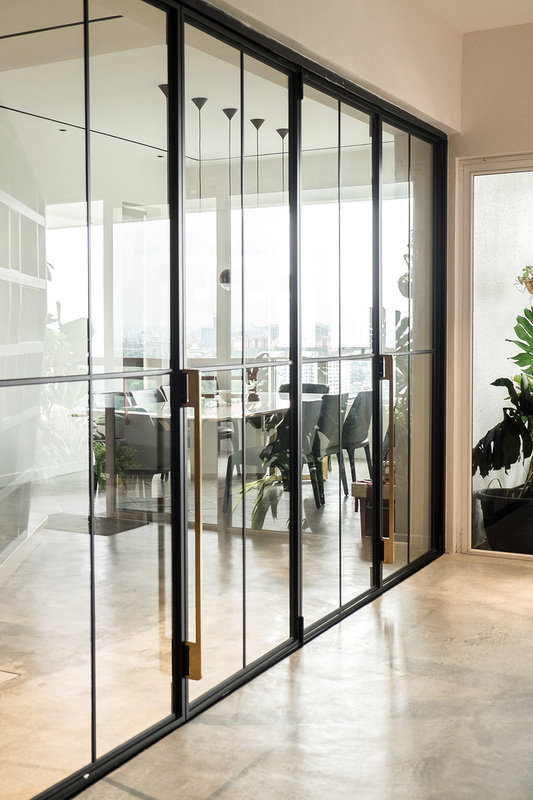 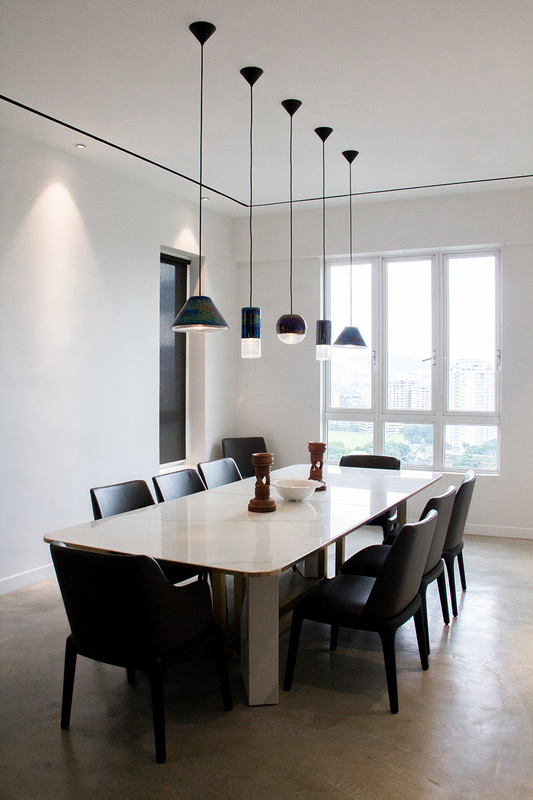 Overlooking the skyline of KL, this penthouse for a bachelor was imagined as a luxurious and lofty man-cave. 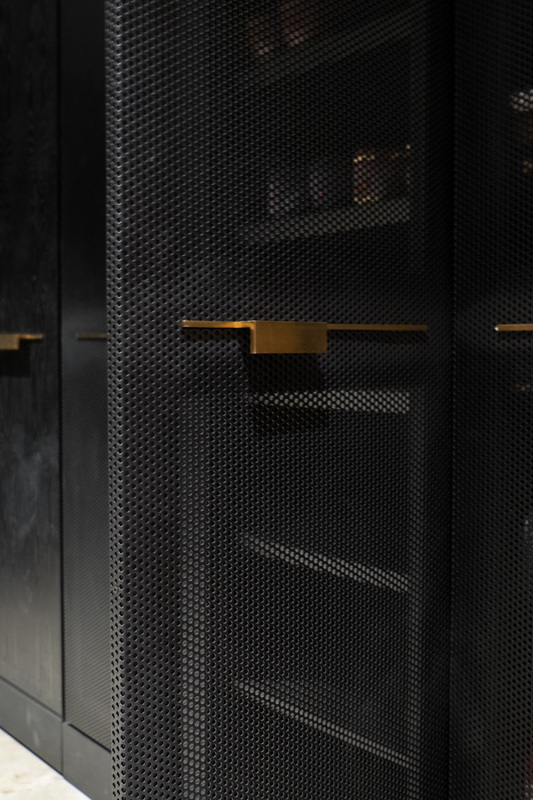 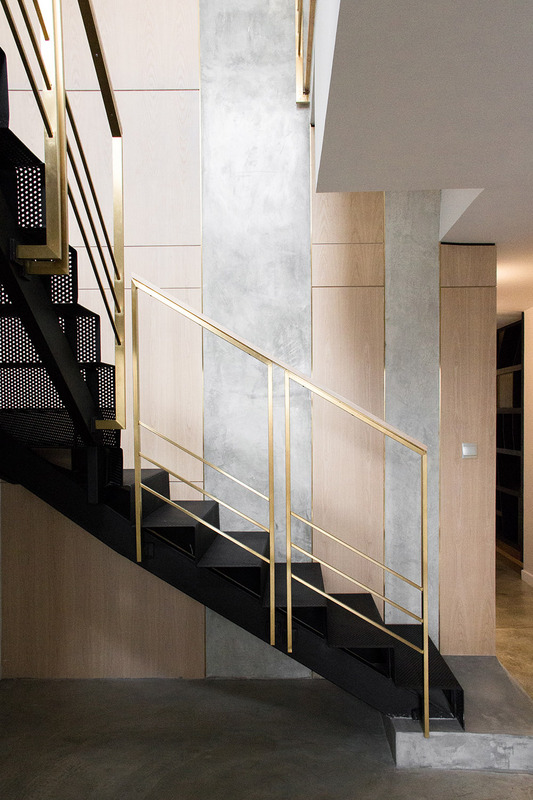 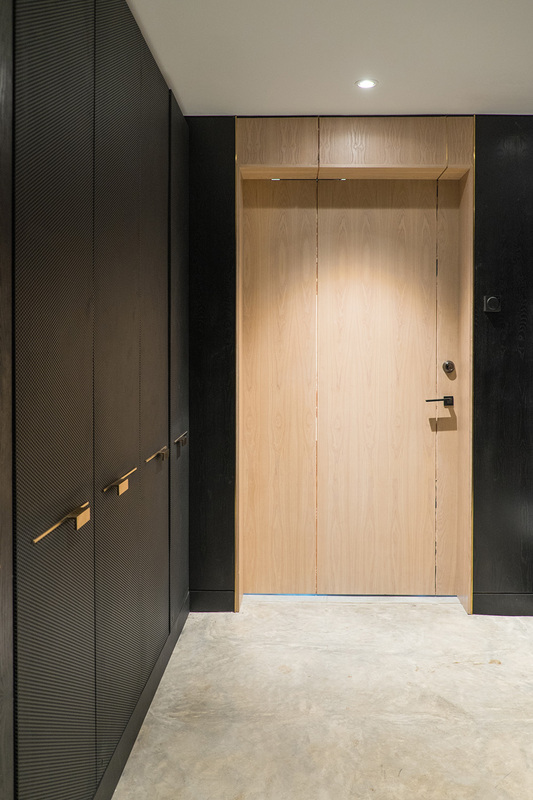 Oscillating between solid and perforated planes, the angular shelving and streamlined black and brass cabinetry define the various programmes in the house. 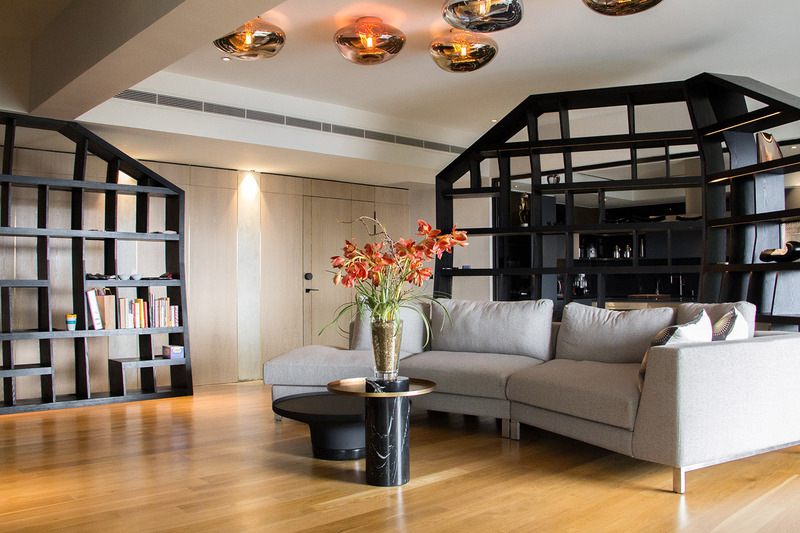 The living room revolves around a raised platform bordered by cave-like shelves with chromed steel mesh screenings. 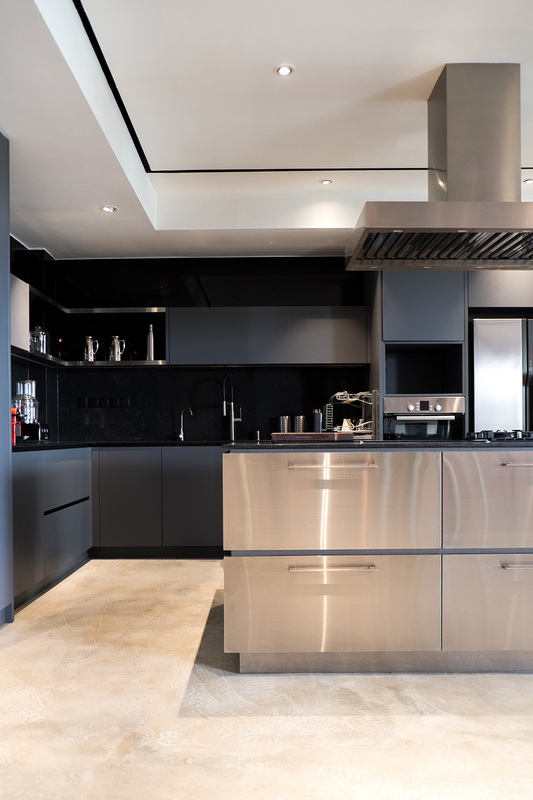 A clean stainless steel island counter grounds the kitchen space, against its muted black shelving. 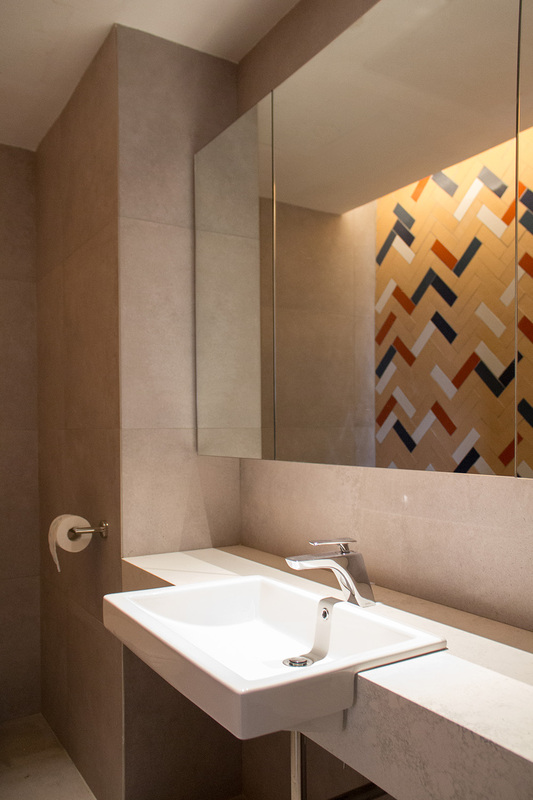 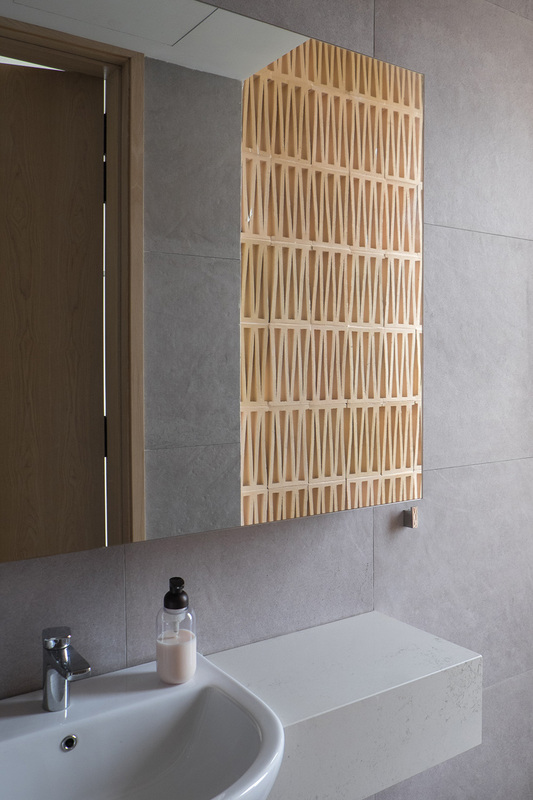 Colors and textures are introduced using MELT lamps from Tom Dixon and also bespoke Patricia Urquiola wall tiles. 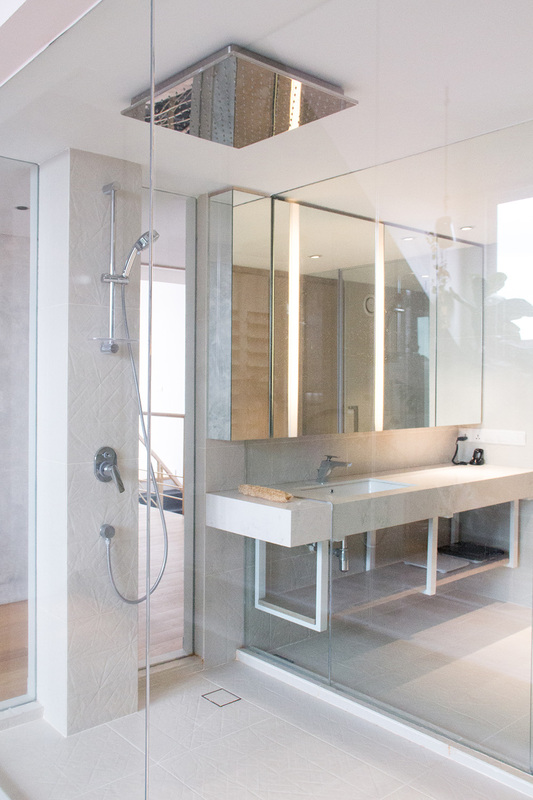 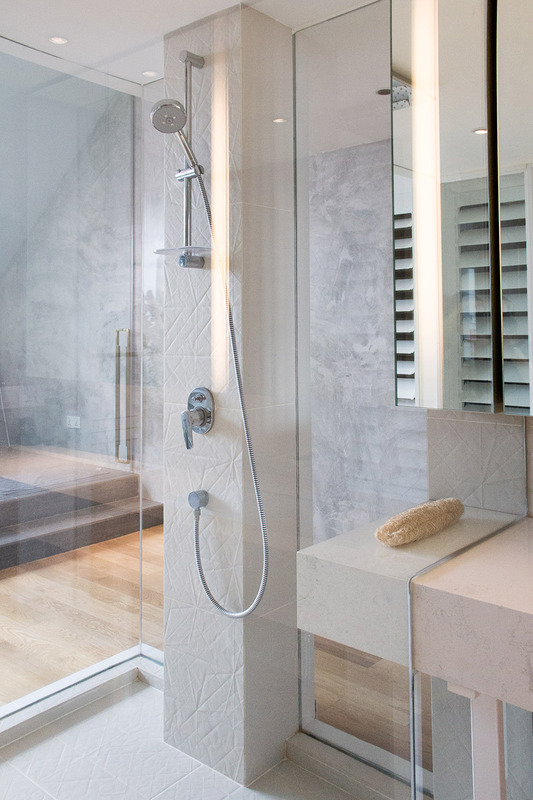 Utilizing the architecture of the inclined roof in the master bedroom, a lanai is created, puncturing the roof and bringing ample daylight into the see-through bathroom. 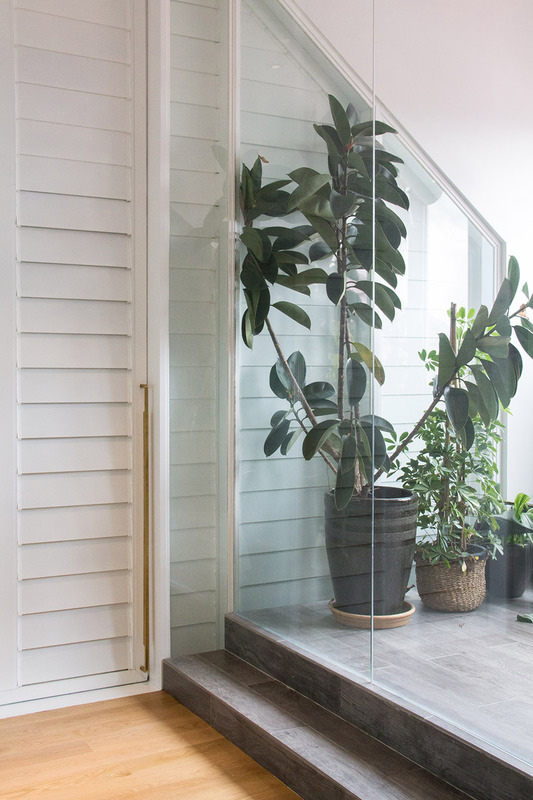 Lush greeneries are peppered in specific nooks across the house, creating pockets of retreat spaces for the owner and his guests.